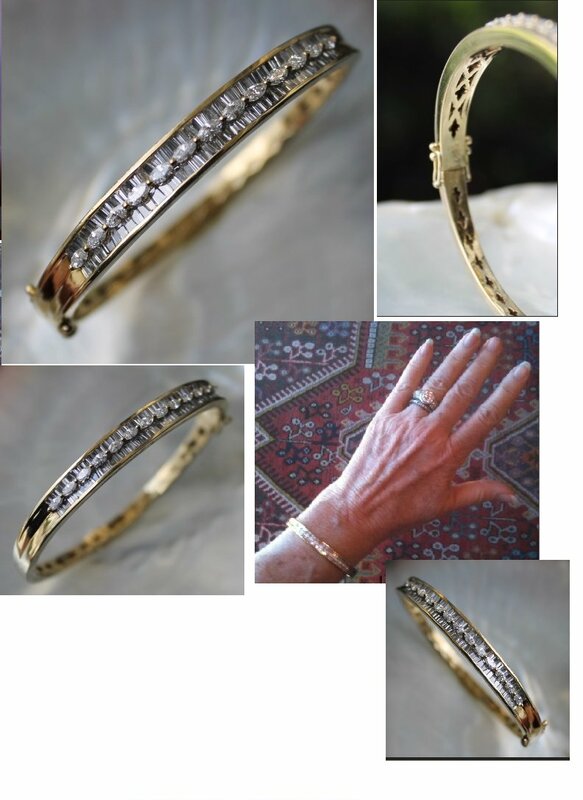 From the Treasure Coast of Florida, truly lovely HEAVY solid 18k yellow gold and diamond bangle with double safety. There are a total 4.08 carats of VS clarity, G-H color diamonds . Across the top we have a raised row of thirteen prong-set marquise cut diamonds (.52cttw) flanked by a double row of channel set baguette cut diamonds (3.56cttw). The bracelet is extremely well made and in excellent condition. Weight is 26.1 grams. Diameter is 2.5".